I am living in Austria and as a native English speaker I have been asked to help an Austrian man translate part of a service manual into German so that he can finish restoring his tractor. The problem is, I have no idea about machines so it is very difficult to help this man. I am looking for someone to help him. He has a Massey-Harris 44 Diesel tractor manual. He needs help with the connecting rods, the cylinder head and the clutch. From what I understand it specifically has to do with bolt torques. For someone who knows what they are doing I'm sure this would not take much explanation. I would greatly appreciate help from a german speaking person and so would this nice Austrian man. Can you post the parts of the manual that you want translated? This comes from the manual MH-S-44 DSL. If you happen to have it this man's first question is on page 20. It is about bearings and connecting rods. I think he needs to know exact torque requirements. His next question is on page 22. It is about the cylinder head. His last question is on page 39. It is about clutch assembly - flywheel and bolt tightening. Like I said although I speak German I have no idea about machines so I am not able to help him. And I would greatly appreciate it if you could help him. If you need copies of these pages please let me know. After re-reading your reply - What do you mean by post the parts of the manual?? Post the German text on the site that you want an opinion on in German or translated or both. Or scan it and put a link to the image or send the image to me at DennisCTB at hotmail.com and I will make it available on the site. I speak some German, particularly technical German and would be happy to help you out. Please post the paragraphs that you are looking for help and I will reply with a message in German. It will be far from perfect grammar but your friend will understand me. It has been a long time for me since visiting Austria. I liked Salzburg and Innsbruck but particularly enjoyed a part of Vienna that sits on a hilltop. It is called something like "Grundzigs Platz". The dining and atmosphere and music were awesome as was the "Neuwein"! This is great. I'm going to have someone help me scan the parts he needs translated. For some reason my computer isn't cooperating. It might take a day or two before I get it done. I have the scanned pages from the manual but I don't know how to get them to you. Could I possibly send them to you by email? If not do you have another idea. My brother-in-law has scanned and emailed to me the manual pages that need to be translated or explained. It's actually just parts of the pages. He's really concerned about bolt tightenings. What I need to know is how can I get this to you? I'll be leaving on Saturday so if we can't get this taken care of now, that is absolutely OK. This is at your convenience. Or if you would rather not do this then please just let me know. I want to let him know that I have someone to help us out. 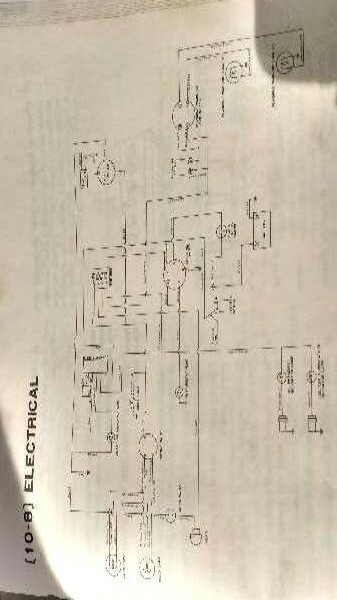 Ok Here is first manual page I got from Clifford, for a Massey clutch assembly. The manual is in english so I guess what she is after is some clarification of what certain phrases mean. Anyway, thy plan on asking some questions on these over the weekend.